12 Şubat 2019 Salı 13:00 - 7 reads. 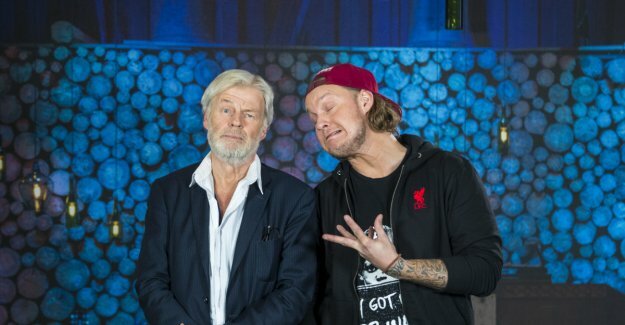 Saturday night, Petter "Disaster" Bjørklund Kristiansen's version of Tom Mathisen & Herodes falsk-the song "All the fine ladies have an ugly girlfriend" on "Every time we meet" on TV 2. Tom Mathisen is delighted with the cover song. Surprised Bettan with a secret visit "Every time we meet"
- It is unbelievable a lot of emotions. To get served a song on the way, is awesome. We were very pleased with this song when we had made it, and when I hear it now, then it is well possible that it may get a new life. This was a raw version! said Mathisen later in the episode. According to TV 2, however, one of the owners that the song is not to be made available on Spotify. - the Song is not out on Spotify. It is the rights holder who has not wanted it. It is of course a pity, but we have no problem to relate to it, " says communications manager Jan - Petter Dahl in the TV 2 to the Newspaper. He emphasizes that there have been some objections relating to that cover song is displayed on the TV 2.
the Song is now out on TV 2's website and TV 2s Youtube channel under the title "Home, home, home, home, home!". - Is it Kim Bård Roll Hansen, better known under the stage name Herodes falsk, who doesn't want that the song will be published on Spotify? - Me, acquaintance, there are three copyright holders of the song. It is Tom Mathisen, it is Herodes falsk, and the late Marius Müller, " says Dahl. Dahl says that as far as he can remember is the first time a "Every time we meet"-cover not released as a single on Spotify. Kristiansen reviews even the event on their Facebook wall. Here he writes that yesterday's episode is one of them he has seen the most forward to. - Tom Mathisen, Herodes falsk, primavera - this is the name that for me and in my genre hangs very high. Tremendously glad to have been better acquainted with Tom, and it to now be able to call him a friend, I am proud of. I did a version of my favorittlåt of them, namely, "All the fine ladies have an ugly friend". Tom liked the song just so much, he writes. He writes that he think it is sad that the song is not made available on Spotify. I felt so clearly this is sad, and was sad when I heard it, but the way it was in this occasion! "All fine ladies have an ugly friend" was first released on the album with the same name in 1991. The song was written by the duo Tom Mathisen & Herodes falsk together with producer Marius Müller, who passed away in 1999. It has not succeeded Dagbladet to get in contact with Hansen or Mathisen.